The unique feature of the XSAM - is the counter-rotating (side-alternating) 2-plate technique with natural foot-up-and-down movement. Vibrations do not go well in the head. Vibration exercise gently, yet effectively. More Particularity our device is the crisp, clear 10 "- colour touch screen with an unrivalled super-simple user interface and options. The optional chip system is compatible with various device manufacturers (e.g., Milon, Ergofit). The smart cards can thus be used in the studio to also control the XSAM devices. Fit with natural dynamics. XSAM - The natural concept for sport, regeneration, rehabilitation and wellness. Experience Device training as a natural movement. 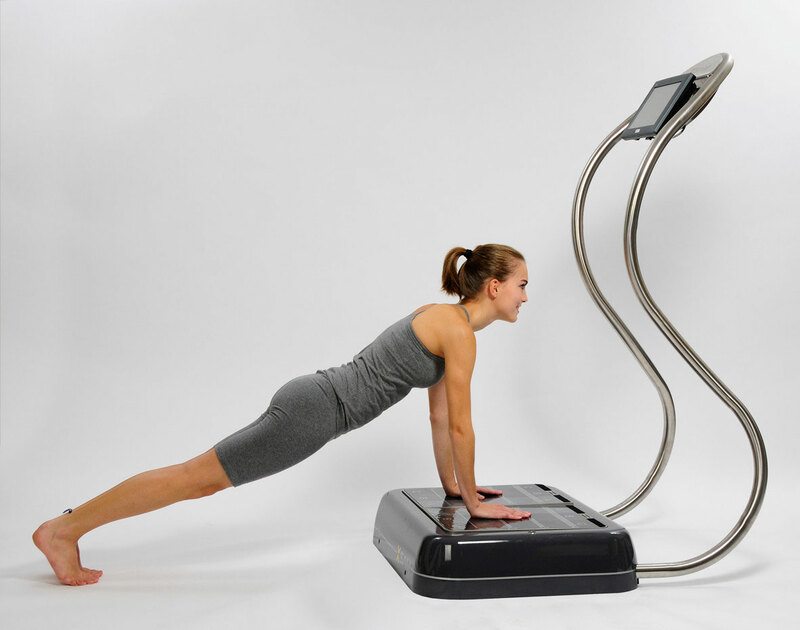 XSAM is the vibration training of the 3rd generation Maximum variety of exercises under physiological conditions. Gentle or dynamic - the way you love it. Xsam is the ideal fitness machine for vibration training: Revolutionary technology, in combination with the unique adjustable Ergo bracket makes maximum exercise variety possible - you will always see on the big screen what is to be done. Frequency adjustable over five modes - custom linear, at intervals or stochastic, in the wave mode with a linear increase, in STOVE mode with stochastic distribution. Amplitude: The position on the base plate can be freely selected (small amplitude: Rear position, large amplitude: Front position). Body position: Control of different muscle groups by position and posture. Variable side alternating muscle stimulation. XSAM stimulates your muscles and train coordination, mobility and vitality - with natural and variable motion sequences. The principle: Two floor-plates move rhythmically alternating up and down. The innovation: XSAM creates a natural movement. The forefoot is raised and lowered, moving the ankle. Here, one is running. While using conventional muscle stimulating exercise equipment, the person hops or waddles; movement of the ankle joint is not possible. XSAM is evolutionary.